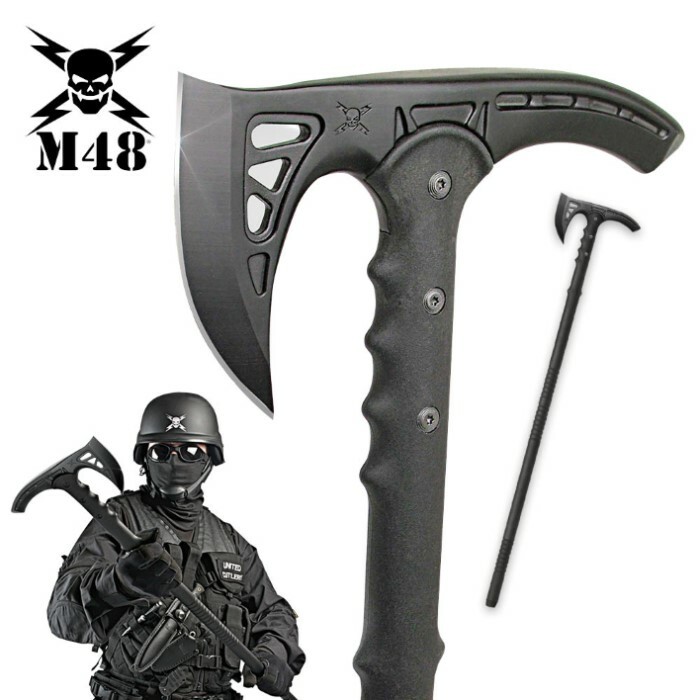 M48 Kommando Survival Axe Tactical Hiking Staff | BUDK.com - Knives & Swords At The Lowest Prices! The M48 Survival Axe is the perfect companion for hiking and camping. 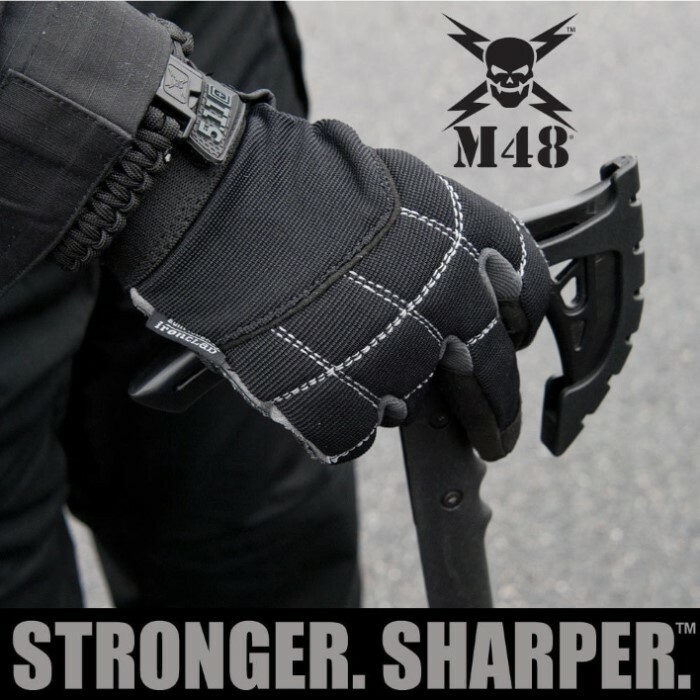 With a 37" overall length, it's great as a walking staff while camping. A cast 2Cr13 stainless steel blade is razor-sharp and can chop through saplings with ease. 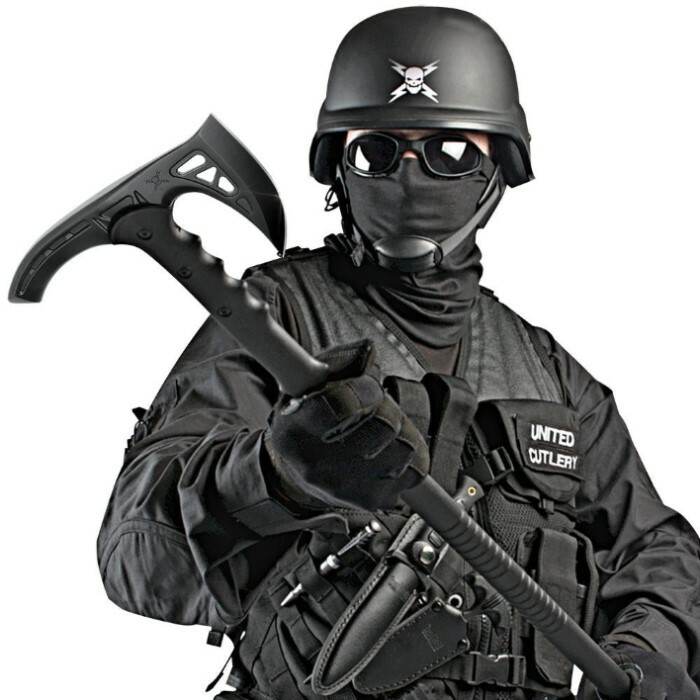 A 30% fiberglass handle is nearly indestructible and the axe head is attached to it with three separate metal bolts.